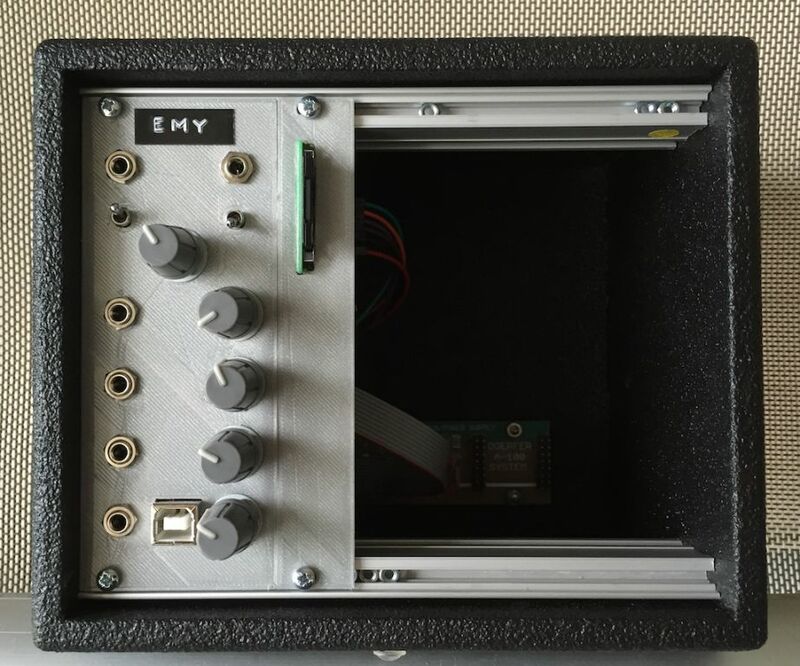 This allows me to use the gate in , audio out and 5 pots to fiddle with the Emic2. I could place the Emic2 in one the 7 segments display's port and wired a few cables to get it working. The module is generating random number and the gate signal is triggering the speech. @deladriere Sounds great! Are you going to continue development of this one? I just need to find time to work on it ! Sentence could be triggered via Gate and voice parameter tweaked via various CV entries. it's a bit boring but it's just to demonstrate the potential of having an SD card. The ability to read/translate lines from the SD card to synthesized voice is bad a$$! So when it's triggered or gate held, does it automatically advance to the next file on the SD card when released?? So this module can say whatever you type in the textfile? That's what makes it so cool and straightforward!! The reason why I mentioned triggering or moving forward in terms of the files on the SD card is you could write sequential bits used in songs and then trigger these as your sequencer plays a programmed; intro, verse, chorus, coda, etc. 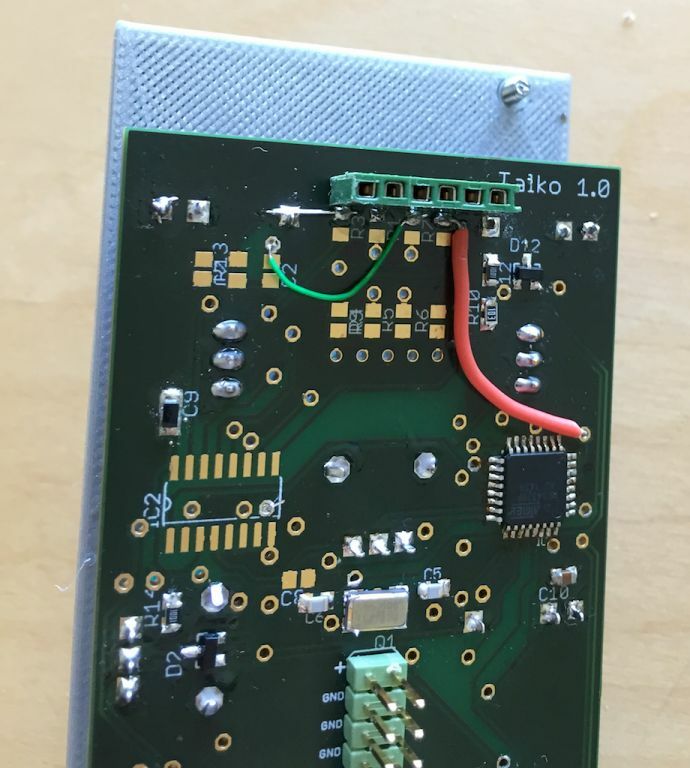 @deladriere, I wonder if it's worth considering designing an updated version of the Talko PCB, incorporating a micro SD card reader, and an expansion header for the Emic board. I think Talko could benefit from more storage for vocabulary, too, plus having an expansion header breaking out more I/O would make it more useful as a generic programmable module, like the Ardcore, or Euroduino. 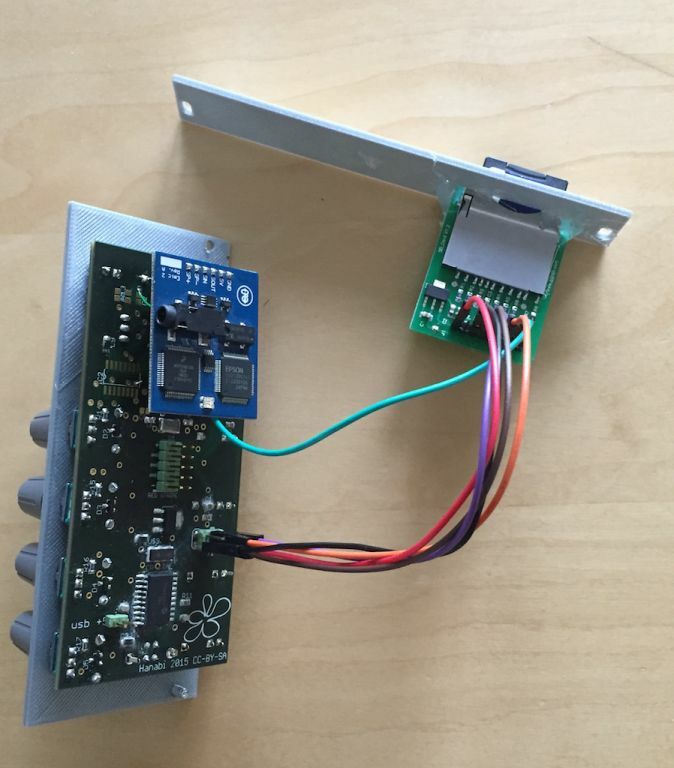 It would also mean you could design other expansion boards to carry Soundgin, SpeakJet or other speech synthesis ICs. I tried to trigger just notes or syllabes with gate but it can`t cope with the tempo. I am working now with sentence. As you suggested, the workaround is to trigger sequence of notes on request, but not too rapidly - part of song or phrase should be ok.
Are you planning on releasing the schematic? or perhaps offer PCBs/Panels? I guess there would be quite a demand for a usable speech synthesis module with proper quality, documentation, customer service etc. This begins to look promising. I like your daughter board idea ! I see many maker cloning one design into series of modules (sharing almost the same panel) with different functions. I guess it is because lot of users prefer not to upload any firmware and use them as one major function. On paper having a module that does a lot seems cool but in the end you keep changing the code and these module lack own personality. - Quite a few pots/cv in to allow changing voice parameters. That's cool. I didn't realise the was the case. I agree, it's nice and simple as it is. It could benefit for some extra storage for vocabulary, though. I noticed that the various banks on the Talkie pages contain a lot more words than can be fitted into the MCUs memory. That sounds great! The last idea I like, too. It would mean that I could reprogram it as a Talko+, with extra vocabulary on SD card, and a display showing the words. The same hardware could also be used for other cool stuff, maybe something like the setup I mentioned in the Canto thread. That is just ridiculously good compared to anything else in Eurorack. Sure, I was just thinking in case one would have to choose/prioritize at some point due to face plate real estate, complexity, cost etc. then I would rather be able to sequence/control (all) parameters by CV and not necessarily all by pots/switches.